Our hand-picked list of best bets for entertainment this month, featuring 5th Avenue Theater, Seattle Symphony, Seattle Repertory Theater, Frye Art Museum and more. 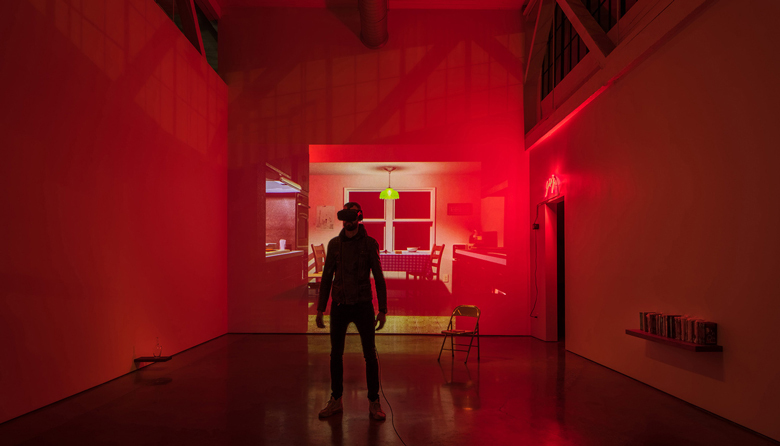 An installation detail from Dylan Neuwirth’s “METANOIA,” a virtual reality art experience performed by the artist. Composer David Coulter (right) performs a live score in the world premiere theatrical adaptation of A Thousand Splendid Suns in San Francisco; he'll reprise the role on the same set in Seattle, along with actor Jason Kapoor (left, back). Photo by Kevin Berne.